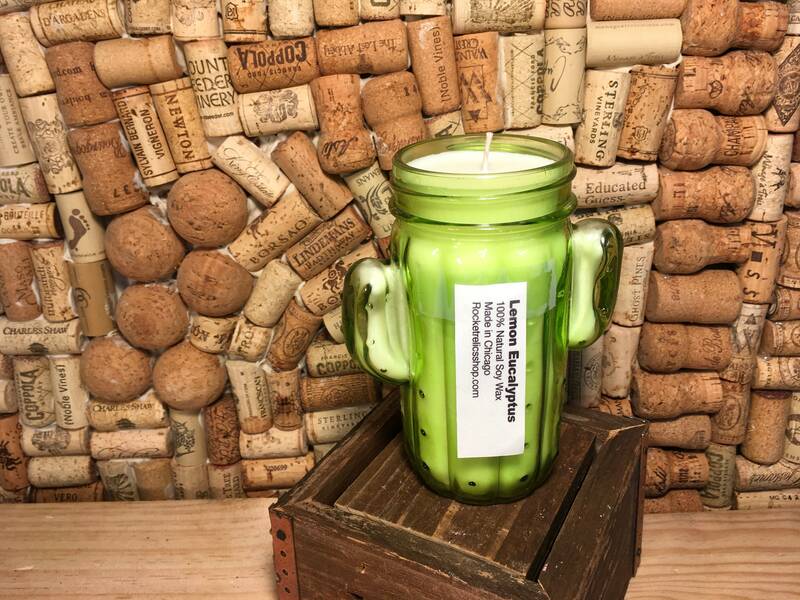 Vintage cactus green glass filled with a wonderful long lasting soy Lemon Eucalyptus scent. This jar has no lid with it. 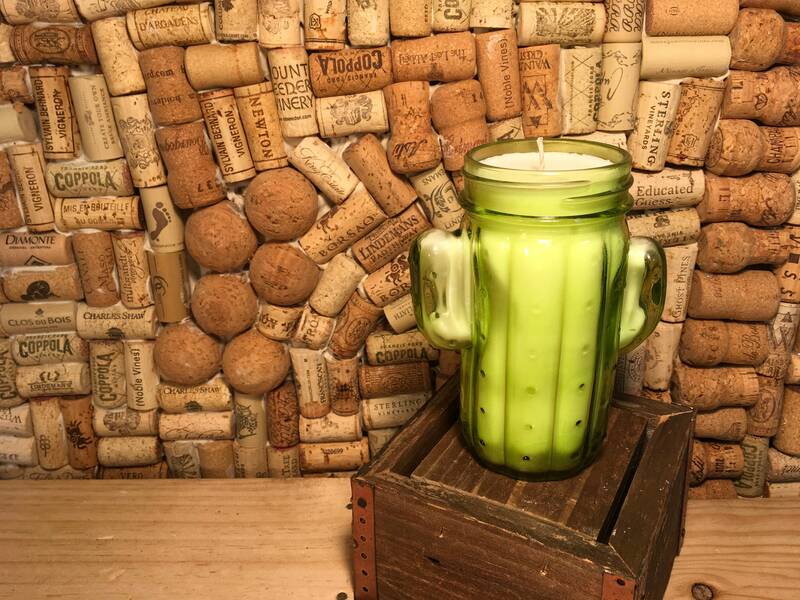 After your candle is done you can clean the glass out and give it yet another life! It would make a great small vase! Or planter! Lemon & Eucalyptus: This is a powerful blend of fresh squeezed lemons with freshly picked eucalyptus leaves. Strong and clean!